Coming August 18, 2018. A weekend of fun for the girlfriends! Head to Vancouver, Washington for the Girlfriends Tri. 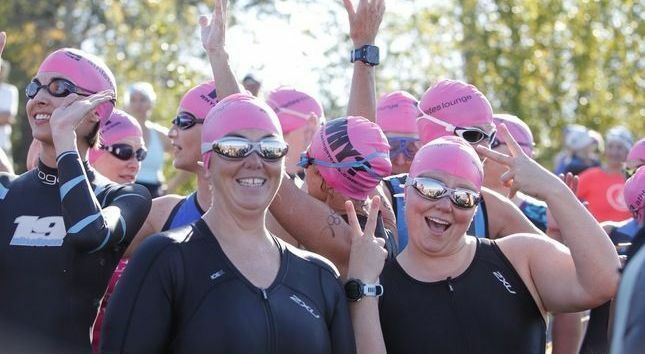 This is three fun-filled days with a triathlon, duathlon, aquabike, 10K, and 5K events just for the ladies whether you’re an expert or a newbie. The area is beautiful with the swim portion in the Columbia River, cycling through scenic, flat country roads, and running on more paved, flat country trails with views of Mt St. Helen’s, Mt. Hood and Vancouver Lake. Post-race celebrations include food, beer and beverages, massages, music, prizes and awards, a fitness festival, and fun along the awesome Columbia River!